A new synth... or a new saxophone? Or a synthophone? 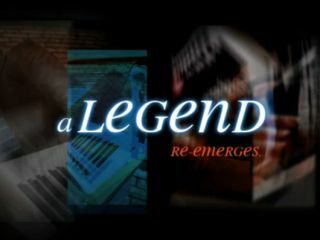 Roland has released a teaser video - entitled Metamorphosis of a Legend - for a new product that will be announced on 6 April, the opening day of the 2011 Frankfurt Musikmesse. As you'll see above, it doesn't reveal a great deal (Roland has thrown in images of all kinds of instruments, presumably so as not to give too much away), but the most intriguing of the many hyperbolic lines of text reads: "a legend re-emerges". This suggests that we might just be getting a new synth based on one of Roland's classics from the past. Have a scan through our Roland Synth Chronicle, which features 89 of the instruments that the company has released since 1973, and see if you can find one that's ripe for revival. Roland has re-introduced the Juno and SH names in recent years, so it wouldn't come as any great surprise to see another of its iconic brands being revived.